OBJECTIVE | Develop a new seasonal brew for a local handcrafted beer company; design logo, label, and product packaging. SOLUTION | A thirst-quenching white IPA - the perfect pairing to any nomadic adventure. 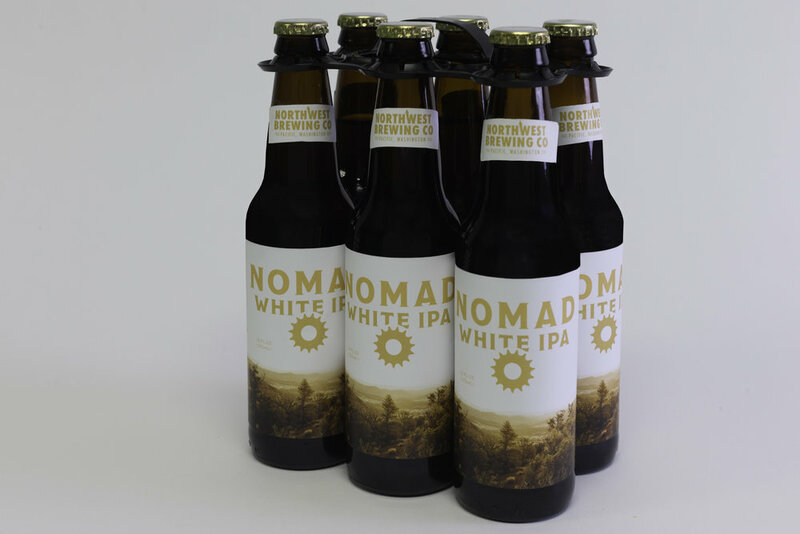 Nomad White IPA reflects a trailblazing spirit. DETAILS | Created name and designed logo using Adobe Illustrator. Toned and masked photo in Photoshop. Packaging uses a recycled plastic carrier to reduce waste and highlight seamless wraparound label.